How can today’s young people be educated about the perils of drug use beyond scaring the heck out of them? How can we help them explore their questions about drugs and develop their capacity to survive in a society where people use drugs? Mahboubeh Asgari, a postdoctoral fellow studying at the University of British Columbia in the Department of Educational and Counselling Psychology, and Special Education, is hoping to address these questions during her two-year Mitacs Elevate fellowship with ARC Programs, a community agency based in Kelowna, BC, and the Centre for Addictions Research of BC (CARBC). Mahboubeh believes traditional education programs with the objective of scaring or shaming youth into abstinence have not been effective in addressing problematic substance use. “Traditional drug education [which is ineffective] has tended to address a perceived deficit in knowledge. The assumption has been that if children learn the risks involved in drug use, they will tend to avoid use,” says Mahboubeh. “When it comes to drug education, children have questions such as ‘why do people use drugs?’ or ‘what is addiction?’ Using a stimulus such as storybooks, video clips, and songs, philosophical inquiry involves facilitating an open dialogue about drugs where these types of questions can be explored in an open space,” explains Mahboubeh. 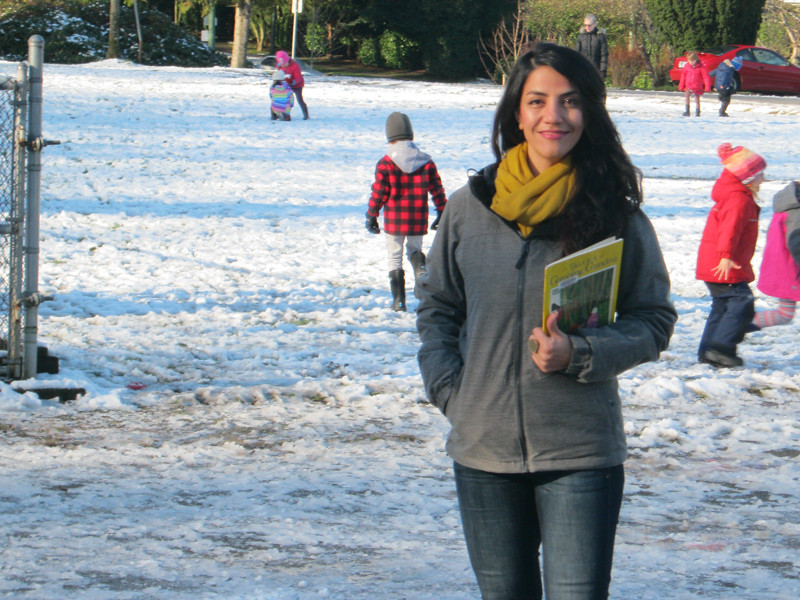 “Our aim is to promote drug literacy — the skills and knowledge children and youth need to survive and thrive in a world where drug use is common.” Mahboubeh will work with ARC Programs and CARBC to bring her findings to schools and the community. Her research fellowship will help develop materials and lesson plans for teachers so they may have meaningful discussions with children and youth about drugs. “Using philosophical inquiry as a pedagogical approach for drug education will empower children and youth to think critically, creatively, and caringly.” Together, Mahboubeh, Professor Weber, UBC, ARC Programs, CARBC, and Mitacs will give teachers and community workers the framework to help change the face and meaning of drug education. Mitacs thanks the Government of Canada and the Government of British Columbia for their support of the Elevate research internship in this story. Across Canada, the Elevate program also receives support from Alberta Innovates, the Government of New Brunswick, the Government of Newfoundland and Labrador, the Government of Nova Scotia, the Government of Ontario, the Government of Prince Edward Island, the Government of Quebec, the Government of Saskatchewan and Research Manitoba.